By Xah Lee. Date: 2017-03-09 . Last updated: 2018-08-31 . 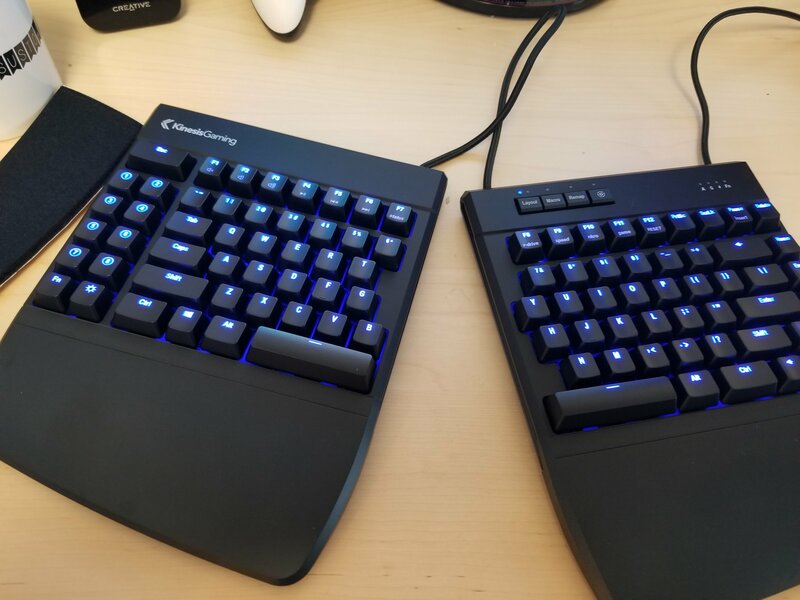 In 2017, Kinesis gaming keyboard came out. Total key count: 92 full sized keys (45 on left side, 47 on right side), plus 4 program buttons. it is, EXCELLET! 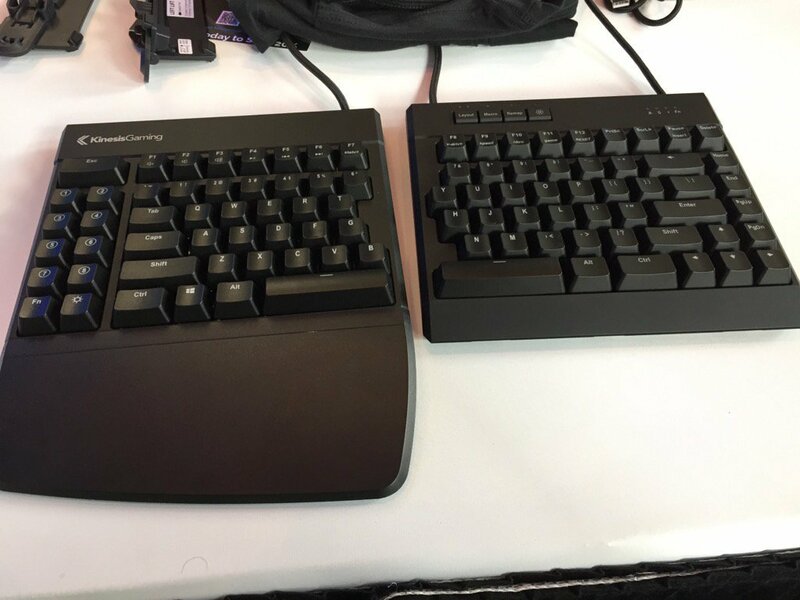 if you want ergo, but traditional layout, this is the one. Note: all keys are driverless programable, meaning, to program a key, you just press keys on the keyboard. Driverless programing of the keys. Just press buttons to remap keys or create key macros. 8 extra programable function keys on the left side. This beats all other gaming keyboards. But, it is also excellent for programers, especially emacs and vim users.